Today we’d like to introduce you to Donna Stedman. Donna, please share your story with us. How did you get to where you are today? I know it makes me sound like a total nutjob, but the truth is this sanctuary started about 25 years ago with what I believe was a conversation with God. The voice told me that I would have a retreat in the country some day, that it would be a place where people would come to help heal their souls, and that, “If I keep seeking Him, when the time was right He would bring together all the people, money and land that will be needed to build it”. 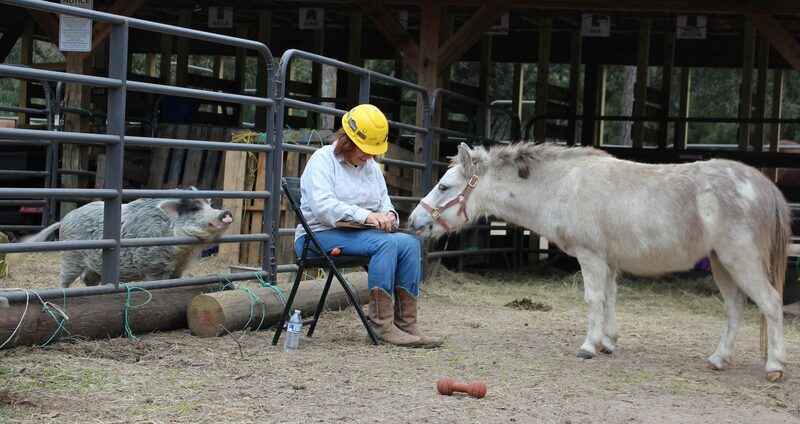 After waiting for so long, I had no idea six years ago when I adopted my first two horses from the Houston SPCA to help one of my sisters who was living with me find a purpose to get out of bed every day, that he would build this sanctuary on that foundation. I incorporated it into a 501c3 non-profit a little over three years ago and I must say watching Him at work takes my breath away every single day. I grew up in a big family on a fruit farm in Indiana, caring for all kinds of animals, spending more time outside than inside. But horses were always my passion. I got my first pony at age five [she was a nightmare pony] and eventually ended up showing hunter/jumper thru junior high and high school, owning many horses over that time. At age 18 I had to sell them to move on to college, marriage, motherhood and a career for the next thirty years. I am a firm believer that everything that happens to us is for a reason, and eventually for our own highest good if we choose to learn from our experiences. I can look back at all the things I have done in my life and see how so many of them I did not enjoy [working in sales for 20 years, for instance] are serving me now within the scope of my responsibilities in growing this sanctuary. I believe life is full of hills and valley’s, good times and bad. And I have learned to be grateful for the hard times, even while I am still in them because I know that it’s during those times that we learn our most important lessons like compassion, patience, persistence, and love. And believe me, building this sanctuary is taking every bit of everything I have ever learned, putting it all into play daily. There have been moments of unbelievable grief and pain, and more worry than I wish to admit to. And so many highs that almost rival giving birth three times. There has not been anything smooth about it. Three years after I got Henry and Lexi at the SPCA, and after I had adopted four more horses from neglect/abuse, I was boarding them at a private home in a neighborhood with everything I had in an 8’x10’shed and boot-sucking mud six months a year. 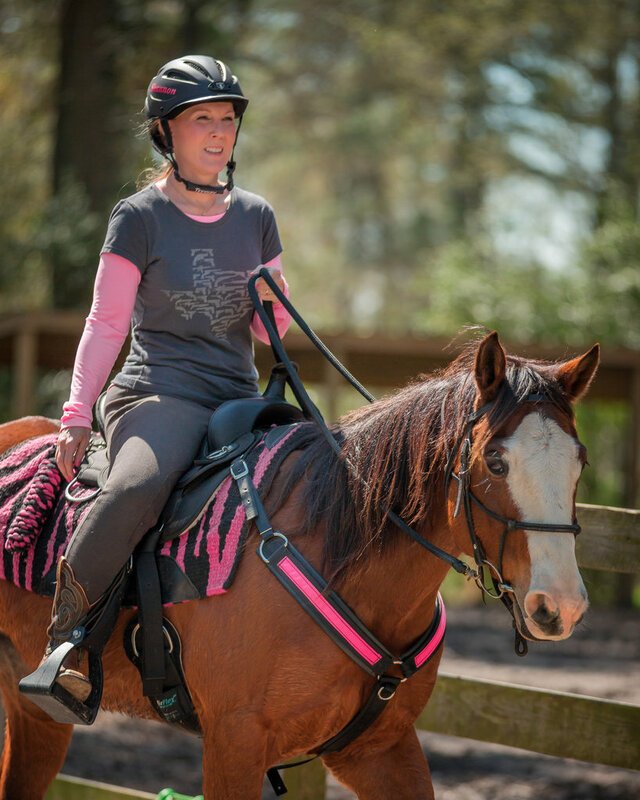 I had started and was running a trail riding business called Just Us Gals to help pay for high boarding costs, feed, and supplies, mostly using my own money. Unfortunately, I was angering another gal who also had a trail riding business down the road. When I incorporated it into Henry’s Home, she really started an attack which resulted in three of the neighbors filing suit against our homeowner for deed restrictions. It was totally unfounded, but it ended up in a large article on the front page of July 19, 2015, Sunday edition of the Houston Chronicle, mentioning, “. . . the neighbors and Stedman are right about one thing . . . she and her herd need a new home.” That was a rough time, but I knew that God had a plan and I just needed to keep taking the human footsteps day by day necessary to let it unfold. Shortly after that article came out I received a phone call from a large development company. They had purchased approximately 2,200 acres of land five minutes from my home in The Woodlands that used to be an old boy scout camp. They were only planning to develop 1,000 of those acres, leaving the rest natural forest. They asked if we would move our sanctuary to that forested land, and it is where we are now, called Grand Central Park. This company, Johnson Development, is one of the biggest master-planned community builders in the Houston area and they have been obviously used by God . . . He did promise me He would take care of the land. Such good people. They took a real risk moving us onto this land, and continue to support us in every way every day. You can imagine how many volunteer hours it would take to clear approximately five acres of brush and forest, leaving the bigger trees, fencing all that with board and post fences, building out feeding stalls, hay storage, tack, and supply storage, riding and training arenas, an office, a bathroom, shelters for the horses, and more. Our volunteers, and we are all volunteers, knew we needed help. And of course, it came as promised . . . the people. The Leadership Montgomery County Class of 2017, another 501c3 bringing a class of about 45 county up-and-coming leaders together for a year to learn about the county, took us on as their project. They built out the lit and sprinklered arena, got a large office building donated, got all our land plumbed and electrical set up, and helped us with marketing . . . all with in-kind donations from Houston area companies including Arch-Con, Maxx Media, Mobile Modular, Texas Fence, Miam Electric, Consolidated Communication, Consolidated Electrical Distribution, Bradbury Thornton Plumbing, Berkeley Services, Son-Way Agri Products, JM Smith Construction, CooCoo Creative, Toucan Printing, and more, all donations. A number of boy scouts have done their Eagle Scout projects with us over the last two years as well. 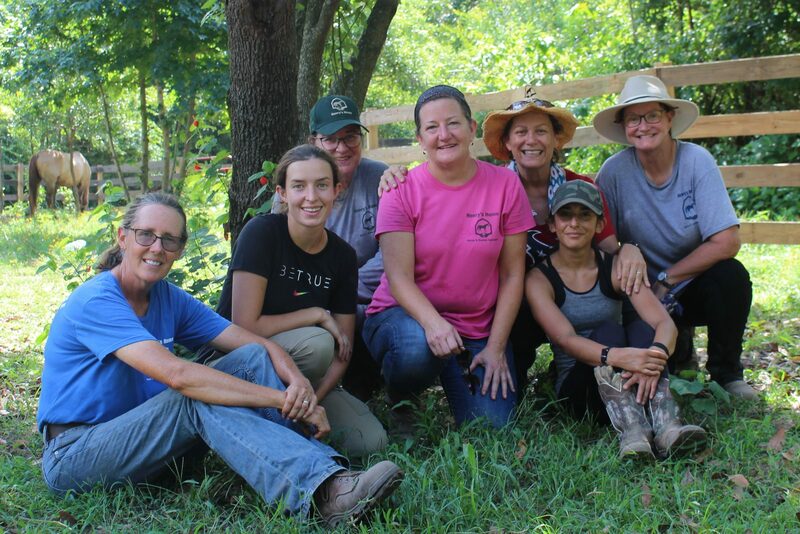 They helped build our outside perimeter fence, our hay shed, our chicken coop, feeding bins, and bat houses, etc. And a few local corporations, including CBI and BGE, have built projects for team building days. And of course, our own volunteers have put in hundreds of hours . . . make that thousand. . . in the summer heat and pouring rain, day after day, to make sure our dozen horses and other farm animals have the very best life possible. Our latest interesting life experience was Hurricane Harvey. We were completely flooded and had to do an emergency evacuation because we had no idea if our land would flood. It did. 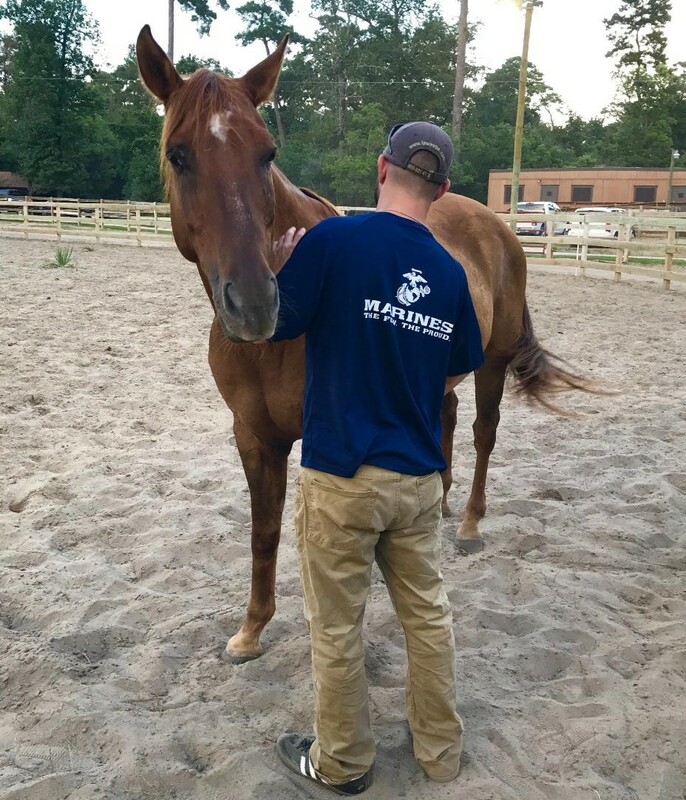 Panther Creek Inspiration Ranch, another 501c3 in The Woodlands who offers equine therapy for children, came to our rescue, as well as Lewis Walker from Hot Headz Marine in Houston who spend hours repairing our tractor. We will be ready next time Mother Nature has a challenge in store for us. Henry’s Home Horse and Human Sanctuary – what should we know? What do you guys do best? What sets you apart from the competition? Our Mission Statement is: A soulful retreat back to nature and simplicity, to heal the mind, body, and spirit. 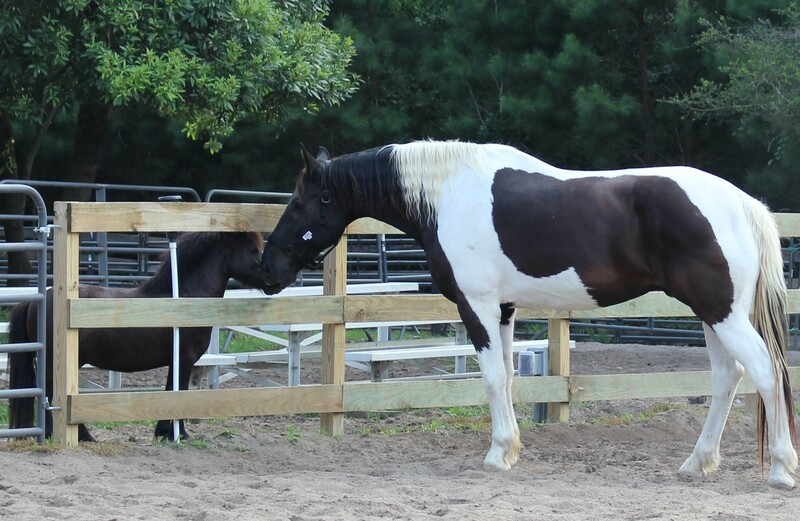 Our Vision Statement is: To enhance the quality of life for horses and humans in our community who have suffered trauma, known neglect or simply need a quiet place in nature with a loving family to heal from unseen wounds. Our long-term plan is to expand into a sustainable therapeutic retreat center for veterans and their families, local first responders, and others in our community who need a safe and loving place in which to heal their souls . 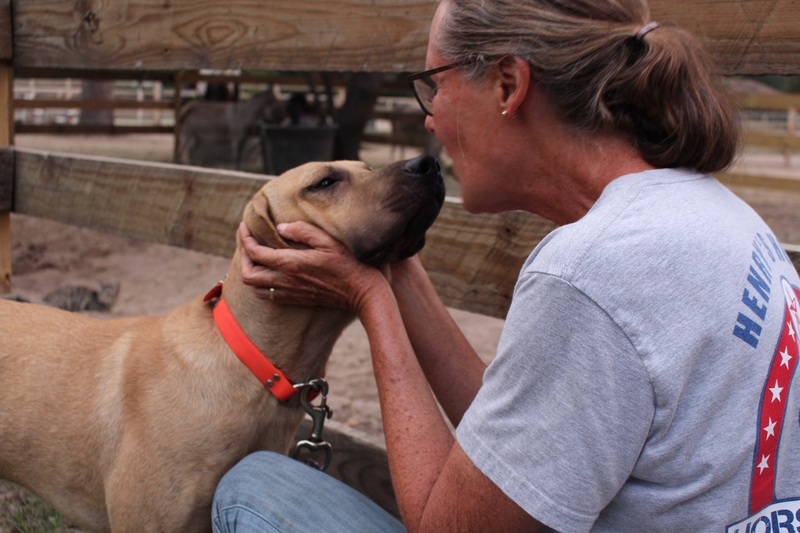 . . a sanctuary where all the rescued and donated four-footed members of Henry’s Home will play an intricate part in the healing and happiness of those who spend time with them. We have three programs at our sanctuary. 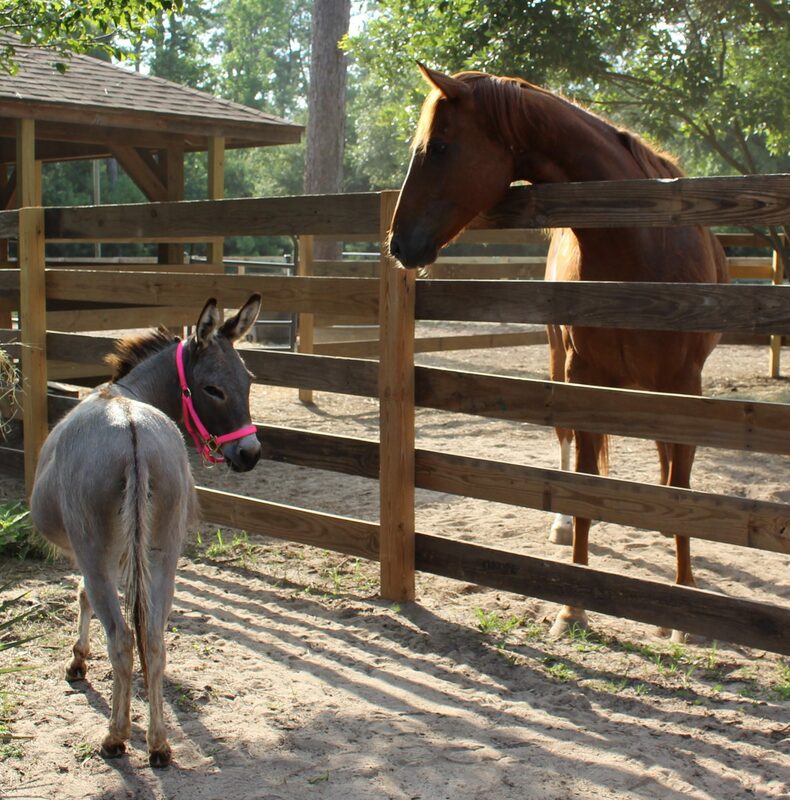 First, we take in rescued and donated horses and other animals and give them a forever home. Second, our Herdmate Program is how folks can volunteer with us. They help us take care of all the animals, as well as all the non-profit business stuff. And third, our Horses & Heroes Equine Program. 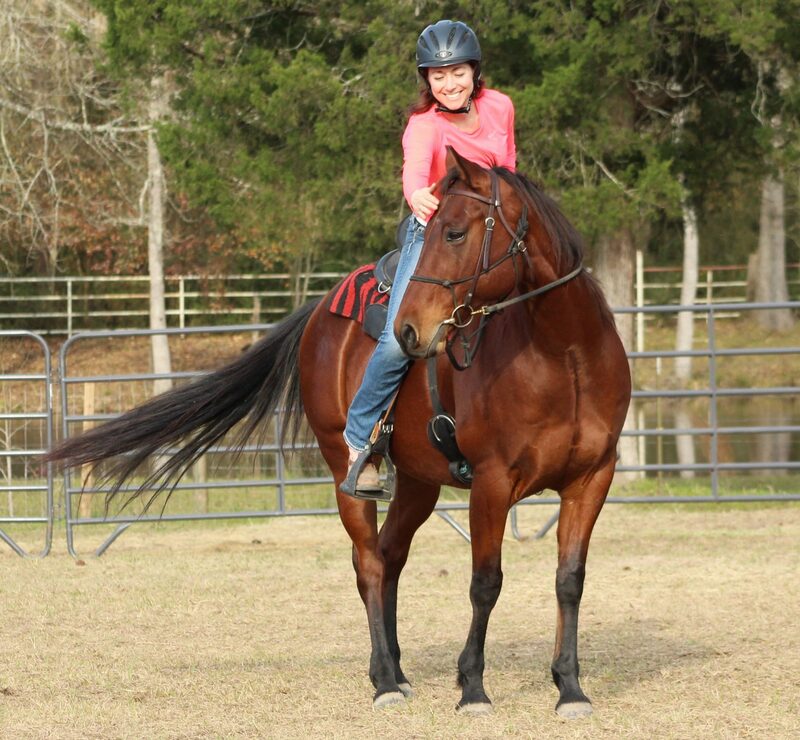 Right now we are offering EAGALA equine therapy for veterans and first responders in the Houston area, as well as their families. It is all on the ground [no riding] psychotherapy with a mental health professional and an equine professional conducting both group and family sessions, always at no cost to the veterans or first responders. Our community has come together to support this nonprofit. With all the local companies who make donations and sponsor our fundraisers, grants given by the Montgomery County Community Foundation, the Petco Foundation and Assistance League of Montgomery County, and generous gifts given by Investment Advisory Services, Mercedes Benz of The Woodlands, OCS Corporation, Chicago Title, and many of our volunteers, our programs are being funded locally. Our volunteers help fund our programs as well, along with putting in good hard physical work. For the veterans and first responders who attend sessions, they tell us they are life-changing. We have seen this to be true. The horses are remarkable therapists. Just being around their honesty, in-the-moment way of life, non-judgementalness, ability to read emotions, energy and body language, allows stories to pour out, metaphors to be learned for every-day-life situations and joy to be re-learned. When we see how these folks who are struggling to deal with the trauma they have experienced are strengthened and helped to relearn living without that excellent life-saving training [which doesn’t work so well at home], our stress and sacrifice is so worth it. We are most proud of these stories. That is what truly brings us joy. Our goal is to eventually offer this time with the horses to all who have experienced trauma, for a fee, in the form of equine therapy. That, and having the retreat center, is what will sustain us financially some day. Watching a horse who has been abused re-learn to trust us again. And listening to a veteran open up about the terrible trauma they have experienced, knowing that they are learning to trust themselves again from experiencing that horse’s trust. Knowing I made this happen. We made this happen. These moments make it all worth it. Thank you for featuring Donna Steadman and her work. Great to see what a village has come together around this purpose. Even though this article is about me, please be aware that absolutely none of this could have come about without all our incredible volunteers. Shannon Novak is the heart and soul of the equine therapy program and Linda Ward keeps our volunteer program going and growing. And so many more . . .